British fashion has defined some iconic looks, from checkered shirts to full-dress tailoring complete with cufflinks and top hats to the punk rock statements of the 1970s and 1980s. English brands are constantly on the look out for new ways of interpreting these styles and make them relevant in the modern era. 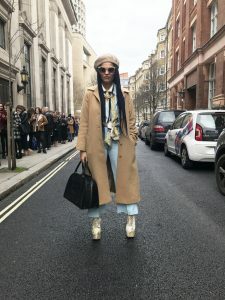 It’s on the streets that we see this most clearly, with a mixture of styles that make London the most eclectic and contemporary city in the world when it comes to the fashion stakes. Be it the hipster vibe of East London, the posh look of Soho, the opulence of Mayfair, or indeed the creative flair of the catwalks, London’s street fashion is the city’s trademark of diversity. 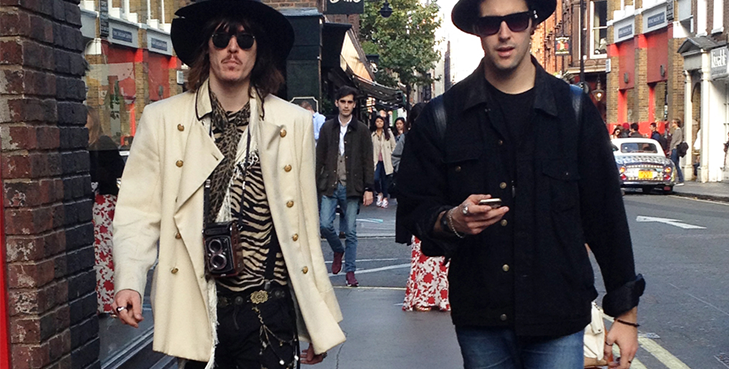 Check out our list of the latest London street fashions and inspire your next London look. Fashionistas: always present during the capital’s fashion shows, they adopt the latest eclectic looks, luxurious novelties and fast fashion. They are only ever one click away. Posh Soho: there’s never a shortage of glamorous queers in the neighborhood of diversity, who can manage a 15cm heel as well as any woman! I woke up like this: from Chelsea, past Hyde Park Corner and Mayfair, to the further reaches of Regent Park, waking up ready for success is a local motto. British Millennials: give a Millenial a classic piece of British tailoring from the 40s or 50s, an overcoat and a checkered print and you’ll have a new look on your hands in minutes. Hair! : tell me what colour to use and I’ll tell you who’s wearing it. London might quite possibly be the city with the most dyed hair per square metre! Care to bet? 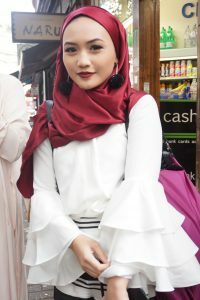 Hijab luxury: whether tourists or residents, Muslims are some of the biggest consumers of fashion and beauty In London, so much so that brands like Dolce & Gabbana and Uniqlo have launched special lines designed exclusively or Muslim women. Hipster: Between retro cool and gentrification, hipsters are a sign of the change that has gripped the city’s east in recent times, in areas like Brick Lane and Hackney. Ultra punk pop: A mix of older clubbers from the 00s and 80s punks, this subculture is well represented in the fashion circles, by iconic names such as Vivienne Westwood and Pam Hogg. There’s nothing basic about this look; this controversial new fashion calls for a little extra extravagance. Old but Gold: don’t be surprised if that little white-haired lady next to you on the Underground is better dressed and more fashionable than you. Around here fashion is something that is learnt over time! An Advertising Professional and creator of Juice Cool Hunting with more than 13 years of adventures in the world of communication. Fernanda suffers from wanderlust, the insatiable desire to travel and discover the world, and has lived in Porto Alegre, Rio de Janeiro, United States, Milan and now is based in London.